Presidential election results map. Red denotes states won by Nixon/Agnew, blue denotes the one state and the one district won by McGovern/Shriver, gold is the electoral vote for Hospers/ Nathan by a Virginia faithless elector. Numbers indicate the number of electoral votes allotted to each state. Nixon emphasized the strong economy and his success in foreign affairs, while McGovern ran on a platform calling for an immediate end to the Vietnam War, and the institution of a guaranteed minimum income. Nixon maintained a large and consistent lead in polling. Separately, Nixon's reelection committee broke into the Watergate Hotel to wiretap the Democratic National Committee's headquarters, a scandal that would later be known as " Watergate". 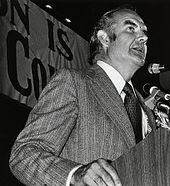 McGovern's campaign was further damaged by the revelation that his running mate, Thomas Eagleton, had undergone psychiatric electroshock therapy as a treatment for depression. Eagleton was replaced on the ballot by Sargent Shriver. Nearly two years before the election, South Dakota Senator George McGovern entered the race as an anti-war, progressive candidate. McGovern was able to pull together support from the anti-war movement and other grassroots support to win the nomination in a primary system he had played a significant part in designing. Alabama Governor George Wallace, an anti-integrationist, did well in the South (he won every county in the Florida primary) and among alienated and dissatisfied voters in the North. [ citation needed] What might have become a forceful campaign was cut short when Wallace was shot in an assassination attempt by Arthur Bremer on May 15. Wallace was struck by five bullets and left paralyzed from the waist down. The day after the assassination attempt, Wallace won the Michigan and Maryland primaries, but the shooting effectively ended his campaign and he pulled out in July. After the convention ended, it was discovered that Eagleton had undergone psychiatric electroshock therapy for depression and had concealed this information from McGovern. A Time magazine poll taken at the time found that 77 percent of the respondents said, "Eagleton's medical record would not affect their vote." Nonetheless, the press made frequent references to his "shock therapy", and McGovern feared that this would detract from his campaign platform. McGovern subsequently consulted confidentially with preeminent psychiatrists, including Eagleton's own doctors, who advised him that a recurrence of Eagleton's depression was possible and could endanger the country should Eagleton become president. McGovern had initially claimed that he would back Eagleton "1000 percent", only to ask Eagleton to withdraw three days later. This perceived lack of conviction in sticking with his running mate was disastrous for the McGovern campaign. 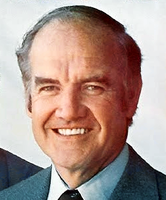 McGovern later approached six different prominent Democrats to run for vice-president: Ted Kennedy, Edmund Muskie, Hubert Humphrey, Abraham Ribicoff, Larry O'Brien and Reubin Askew. All six declined. 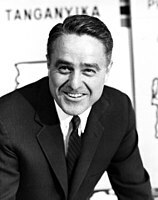 Sargent Shriver, brother-in-law to John, Robert, and Ted Kennedy, former Ambassador to France and former Director of the Peace Corps, later accepted. He was officially nominated by a special session of the Democratic National Committee. By this time, McGovern's poll ratings had plunged from 41 to 24 percent. 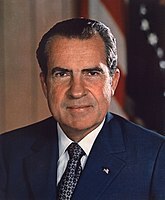 Richard Nixon was a popular incumbent president in 1972, as he was credited with opening the People's Republic of China as a result of his 1972 visit, and achieving détente with the Soviet Union. Polls showed that Nixon held a strong lead in the Republican primaries. He was challenged by two candidates, liberal Pete McCloskey from California and conservative John Ashbrook from Ohio. McCloskey ran as an anti-war candidate, while Ashbrook opposed Nixon's détente policies towards China and the Soviet Union. In the New Hampshire primary McCloskey garnered 19.8% of the vote to Nixon's 67.6%, with Ashbrook receiving 9.7%. Nixon won 1323 of the 1324 delegates to the Republican convention, with McCloskey receiving the vote of one delegate from New Mexico. 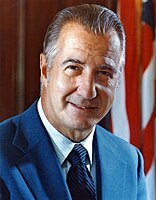 Vice President Spiro Agnew was re-nominated by acclamation; while both the party's moderate wing and Nixon himself had wanted to replace him with a new running-mate (the moderates favoring Nelson Rockefeller, and Nixon favoring John Connally), it was ultimately concluded that the loss of Agnew's base of conservative supporters would be too big of a risk. Although the McGovern campaign believed that its candidate had a better chance of defeating Nixon because of the new Twenty-sixth Amendment to the United States Constitution that lowered the national voting age to 18 from 21, most of the youth vote went to Nixon. This was the first election in American history in which a Republican candidate carried every single Southern state, continuing the region's transformation from a Democratic bastion into a Republican stronghold as Arkansas was carried by a Republican presidential candidate for the first time in a century. By this time, all the Southern states, except Arkansas and Texas, had been carried by a Republican in either the previous election or the one in 1964 (although Republican candidates carried Texas in 1928, 1952 and 1956). As a result of this election, Massachusetts became the only state that Nixon did not carry in any of the three presidential elections in which he was a candidate. Through 2019 this remains the last election when Minnesota was carried by the Republican candidate. Minnesota was later the only state not won by Ronald Reagan in either 1980 or 1984. It also proved the last occasion that Georgia, Hawaii, Maryland, Rhode Island and West Virginia would be won by Republicans until 1984. ^ "CQ Almanac Online Edition". Library.cqpress.com. Retrieved August 17, 2016. ^ "Hawai'i, nation lose "a powerful voice" | The Honolulu Advertiser | Hawaii's Newspaper". The Honolulu Advertiser. Retrieved August 17, 2016. ^ " Remembering Ed Muskie", Online NewsHour, PBS, March 26, 1996. ^ " A Guide to the Frances Tarlton Farenthold Papers, 1913-2013", Dolph Briscoe Center for American History, The University of Texas at Austin. ^ "New Hampshire Primary historical past election results. 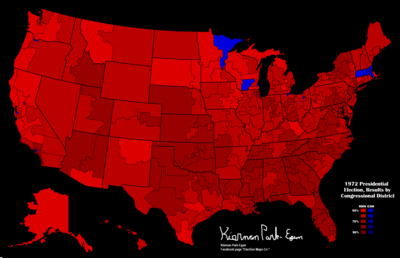 2008 Democrat & Republican past results. John McCain, Hillary Clinton winners". Primarynewhampshire.com. Retrieved August 17, 2016. ^ "New York Intelligencer". New York. Vol. 6 no. 35. New York Media, LLC. August 27, 1973. p. 57. Retrieved March 16, 2019. ^ Lukas, J. Anthony (January 14, 1973). "As Massachusetts went—". The New York Times. ISSN 0362-4331. Retrieved March 16, 2019. ^ "'Don't blame me, I'm from Massachusetts' bumper sticker is resurrected post-election". Boston.com. November 16, 2016. Retrieved March 16, 2019. Giglio, James N. (2009). "The Eagleton Affair: Thomas Eagleton, George McGovern, and the 1972 Vice Presidential Nomination". Presidential Studies Quarterly. 39 (4): 647–676. doi: 10.1111/j.1741-5705.2009.03731.x. 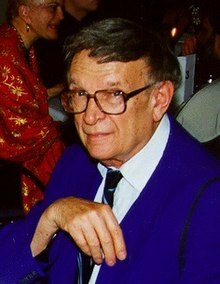 Graebner, Norman A. (1973). 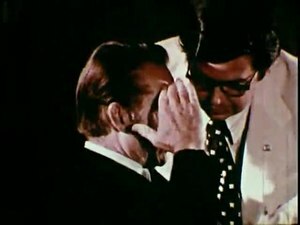 "Presidential Politics in a Divided America: 1972". Australian Journal of Politics and History. 19 (1): 28–47. doi: 10.1111/j.1467-8497.1973.tb00722.x. Hofstetter, C. Richard; Zukin, Cliff (1979). "TV Network News and Advertising in the Nixon and McGovern Campaigns". Journalism & Mass Communication Quarterly. 56 (1): 106–152. doi: 10.1177/107769907905600117. Nicholas, H. G. (1973). 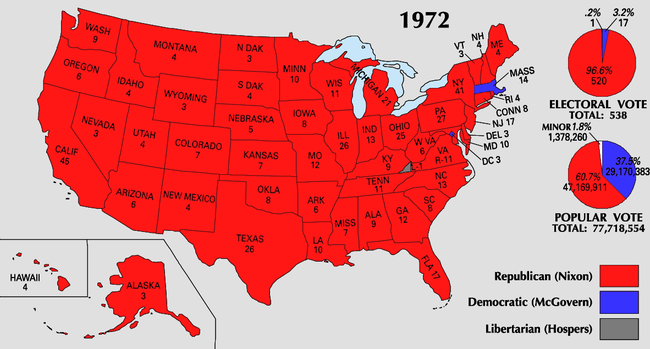 "The 1972 Elections". Journal of American Studies. 7 (1): 1–15. doi: 10.1017/S0021875800012585.